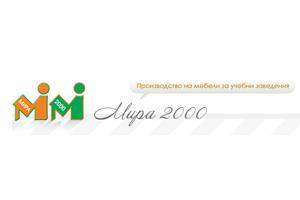 “Mira 2000” is a proven producer on Bulgarian market with more than ten-year experience in the field of furniture manufacturing. The company is concerned mainly with furnishing kindergartens, schools, universities, and office-buildings. We suggest plenty of opportunities in order to meet our clients’ wishes. The rich assortment of products includes kindergarten beds, folding beds, module tables, wooden or plastic chairs of different height, school desks, teachers’ desks, office desks, university benches, podiums, lockers, wardrobes, cupboards, didactic cabinets, game spots, wall bars, etc. The size and colour are by request of the client.